Amazon Internet of Things PaaS platform was announced yesterday with the buzz line “Cloud Services for Connected Devices”. a complete software stack for managing devices and endpoints. partnerships with limited number of hardware companies for software integration. comprehensive software backend for database, object management, notification and streaming. cloud infrastructure for compute, storage and network. analytics platforms (not just software but an entire platform of multiple analytics engines). 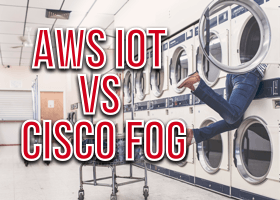 Because I’ve been following the IoT market I am struck by strategic difference between Cisco Fog Computing and AWS IoT. This is what I am considering here although there are many other strategies. Cisco is building a portfolio of products for IoT. Cisco InterCloud is the hosting platform for on or off premise deployment. Software acquisitions in analytics, big data and messaging are under way. Cisco’s Industrial products are being extended in many directions – some related to physical connectivity (low power, packet reliability) and others related to edge-centric data collection, sensor distribution. In my view, AWS has a delivered a PaaS product that is built largely from its existing services that will be compelling to a consumer audience and less for industrial/commercial buyer. Consumer IoT companies like Nest have somewhat different needs from industrial or commercial IoT. Consumer IoT has devices that have a life cycle of 24-36 months while, generally, industrial IoT is closer to decade-long cycles (even this is 50% shorter than the current 20 year cycle). I perceive that Cisco’s Fog Computing is better targeted to industrial IoT. Long & costly sales cycles, partnerships and joint announcements of large companies like GE, Honeywell etc. It is much less accessible for startups, small developers compared to AWS IoT. The total IoT market size is large and Cisco Fog is about building complex, high value but smart networks. For example, AWS IoT provides a software feature for “Device Shadows” to cope with intermittent network connectivity. Cisco Fog computing would move the device profile to the edge of the network where connectivity can be assured. I could probably go one for hours about the impact this will create but my gut reaction was that Cisco has a viable and differentiated competitor. Speed To Market – while incumbents are still deciding what name, slogans & colour scheme to use, AWS is shipping a beta version of its product. Cloud-centric – there are two architectural models/versions of network IoT. Cisco, Huawei et al are promoting a network-centric vision where complex network devices form a distributed cloud of ‘smart’ technology that actively participates in the IoT communication. This is a return of the Intelligent Network concept of the early 2000’s 1. Cisco defines Fog Computing as a paradigm that extends Cloud computing and services to the edge of the network. Similar to Cloud, Fog provides data, compute, storage, and application services to end-users. The distinguishing Fog characteristics are its proximity to end-users, its dense geographical distribution, and its support for mobility. Services are hosted at the network edge or even end devices such as set-top-boxes or access points. By doing so, Fog reduces service latency, and improves QoS, resulting in superior user-experience. Fog Computing supports emerging Internet of Everything (IoE) applications that demand real-time/predictable latency (industrial automation, transportation, networks of sensors and actuators). Thanks to its wide geographical distribution the Fog paradigm is well positioned for real time big data and real time analytics. Fog supports densely distributed data collection points, hence adding a fourth axis to the often mentioned Big Data dimensions (volume, variety, and velocity). In short, Cisco wants the network to be intelligent, active and value-adding to IoT endpoints (when I say “network” I mean service providers, not enterprise). Proven AWS ? The hype machine around AWS is substantial and it is easy to be impressed by how quickly it moves to enter new markets with generally good stability/reliability and offers long term reduction in IT spending. At the same, AWS services may be poorly considered and emphasise speed over substance, require constant retraining and repeated adaptation at they iterate and change to a stable end condition. For some companies that are focussed on short term goals, this is a feature (DevOps) and others that have decades long objectives in slow moving markets (manufacturing for example) this is an objection. Partnerships AWS doesn’t do partnerships in the traditional sense. I perceive that that AWS wants to avoid the high costs of sale. For large companies & enterprise customers, the vendor cost of acquiring and retaining customers with full service sales organisation runs to hundreds of thousands per year. 1/ Complex vs Simple – As a technology, Cisco Fog is promoting a high value, complex and nuanced solution where the service providers/carriers will actively participate in the IoT ecosystem. AWS IoT is much simpler, developer-friendly and shipping today using tools and software that are widely in use (incumbent advantage). Simple sells better (until/unless it fails at scale). 2/ Incumbent vs Disruptive – Cisco Fog aims to defend its incumbent market position, leverage existing customers & partnerships. AWS IoT is disruptive and destructive to existing plays. 3/ Different customers – AWS is popular with capital poor, low ARPU and fast moving companies in the consumer market. Cisco et al is popular with high net worth conglomerates who build high value, high profit solutions that are slow moving and built on incumbent positions with known and trustable technology partners. There is a market for both types of approaches. One does not “kill” the other, nor it one better or worse, but does limit possible growth and ability to dominate the market (Cisco’s stated goal for IoT). 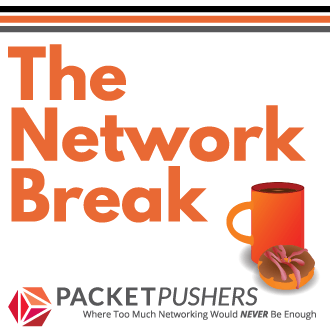 4/ Production vs Transport – from a networking perspective, there is a big debate around the role of network. Is there enough bandwidth in the world to host all services in a few data centres and have a dumb and low cost network ? Or do we build intelligent, high cost networks that enhances data movement. It boils to down to the cost of producing bits vs the cost of transporting bits – but more on this in the weeks ahead. I think it failed because the hardware wasn’t capable to run high-powered software. If you are doing a big IoT deploy/development why would you pick Amazon? They don’t support IPv6 so you could be hurting yourself in the future. 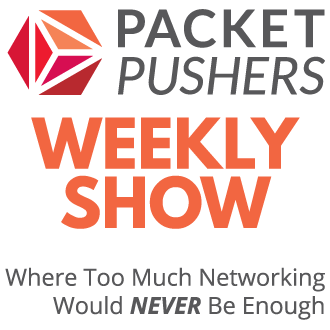 Easy to configure IPv6 in the overlay, as many companies are doing. Think of the bigger picture. IoT is light years away from delivering any real tangible benefit and as for Fog, well let’s just say that you’d have to be really gullible to believe it’s any kind of substitute for Cloud. No not really, it’s more a case of people with short memories, IBM kicked this whole thing off around ‘Smarter Planet’ back in 2008, with Cisco following suite in 2009 with a whole raft of initiatives under the Smart+Connected banner. Now we’ve got the Internet of EVERYTHING, last time I looked Cisco’s Market Cap was nowhere near $1Trillion or IBM’s for that matter, Fog Computing died when Cisco finally learned they had to embrace cloud and was effectively buried following the departure of Guido Jouret. The funny thing about AWS is that you can find some very different cultures in it and those cultures often think everybody else is like them. You can find lots of big company people using AWS at established companies — just for example, the biggest hedge fund in the world is doing desktop virtualization with AWS; roughly, people like that perceive AWS as “cheap”. Startup people, however, often perceive AWS as “expensive”, and if you are specialized at something like “run Algorithm Z” and planning to get big, you could be very sensitive to unit costs and it would be worth your while to spend time wrangling with hardware or working some other provider. For some company like Goldman Sachs that just wants to train a model, they probably don’t care if it costs 3x as much. What I like about their IoT system is that it is up-and-running continuously with no single point of failure. AWS has the occasional outage but it would be hard for you to do better. That kind of message queue architecture is a scaleable way to deal with the asynchronous nature of the beast and it works through NAT or through private VPN so anybody from Target Stores to a home monitoring company can plug in to the network they have. Cisco is channeling IBM in their promotional materials for Fog which is claiming to cover issues that AWS does not address, such as what do you put at the edge so that nodes on the edge of the edge can communicate with the core and also this one of using machine learning combined with rules to program certainly the core but maybe also in the edge area. You could bolt solutions together to achieve this with AWS or some other MQ, but the bundling with the hardware a disadvantage with Fog. My experience is that low end networking goes so much easier with any products other than Cisco’s consumer line. I bought two gigabit ethernet switches from them, and they both had an (undocumented) firmware glitch that causes problems with some weird VoIP phones and with Windows file sharing. When the latter screws up, people figure WIndows is just being Windows and wind up blaming the victim. I got a cheap Chinese switch that was an imitation of the Cisco consumer switch and it works with no problems. I got another one which was an intimiation of that switch and was lucky that it copied the firmware from the second switch and not the first. Cisco were indeed channeling IBM in their promotional materials, but I’m not sure IBM ever truely entertained their notion, especially when you consider the Juniper built analytics into Contrail off the bat.